1. Due — Reminders, Countdown Timers ( iPhone + iPad + Apple Watch ) :- Do you forget your important work? If yes, you can use fast, simple and effective Due-Reminders, Countdown Timers app on your iPhone, iPad and Apple Watch. This reminder app repeatedly reminds you of your homework, projects, meetings, and other important works. Due-Reminders, Countdown Timers app has amazing and user-friendly features such as powerful recurring reminders, time zone shifting, keep reminders in sync, no need internet connection, Apple Watch support, keep track of outstanding tasks with smart badges, natural date and time parsing, reusable countdown timers, support full VoiceOver, more than 15 languages support and other very useful features which make it a full featured and reliable Reminder app for iPhone, iPad and Apple Watch. 2. 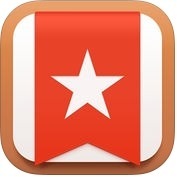 Fantastical 2 for iPhone - Calendar and Reminders ( iPhone + iMessage + Apple Watch ) :- Fantastical 2 is one the best and wonderful calendar, reminder, to-do and task manager apps for iPhone, iPad and Apple Watch. With the help of this app, you can add reminders directly from the reminders list or new event screen, and you can also see all new event details, including a map to show your event's locations and better repeating event options on iOS devices. 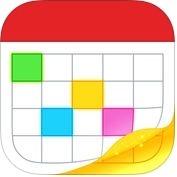 This reminder, to-do and task manager app has wonderful and friendly features such as the easiest and fastest way to add new events or reminders, the efficient and enjoyable way to see your schedule, the expansive and beautiful event list makes it easy to find your events, support accessibility, 3D Touch and more. If you are looking for a professional quality location based reminder and calendar app for your iPhone, this is for you. 3. 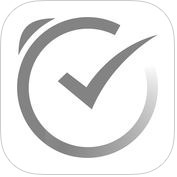 Taskmator - TaskPaper Client, Plain Text Todo List ( iPhone + iPad ) :- This task manager app is one of the best, powerful, flexible and faster reminder, to-do and task manager apps available for iPhone and iPad. 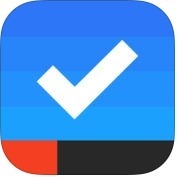 Taskmator-TaskPaper Client, Plain Text Todo List app has several user-friendly features such as support document picker on iCloud drive, touch ID as your passcode, sync notifications across, set notifications to each item (like project, task or note) in a file, organize notes, tasks or projects by tags and more. You can set/change/delete notifications using swipe gesture method and, you can also sort notes, projects, tasks into name, date created, date modified on your iPhone and iPad. 4. Sorted - Quickly Organise Your Day ( iPhone + iPad + Apple Watch ) :- If you are looking flexible, powerful and helpful task manager app for your iPhone, iPad and Apple Watch, you can use Sorted-Quickly Organise Your Day app. It is organise your tasks in lists and schedule them with one tap. This task manager app has amazing and user-friendly features such as powerful gestures, reminders, get notifications for your scheduled tasks, auto-snooze, sync your tasks via iCloud and stay sorted everywhere, support 3D touch, access your reminders from your Apple Watch and more. You can also personalise this app with playful themes. 5. Do! Premium - The Best of Simple To Do Lists ( iPhone + iPad Apple Watch ) :- This to-do list app is one of the best, fantastic and extreamly perfect apps for your iPhone, iPad and Apple Watch. Do! Premium-The Best of Simple To Do Lists app has wonderful and user-friendly features such as manual or auto sorting by scheduled time/color tag/creation and modified, a realistic ball point pen & paper with sound effect, password lock, data backup & restore, support landscape mode notification and more. 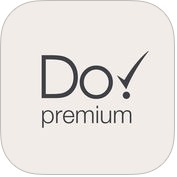 If you are looking for a premium To Do list app for your iPhone and Apple Watch, you should download Do! 6. Any.do: To-Do List, Calendar, Reminders & Tasks ( iPhone + iPad ) :- This is one the most popular cross platform todo, calendar, reminder and task manager apps for mobile devices and computers. Any.do is available for free on Apple App Store for iPhone and iPad. With the help of this reminder app, you can get reminders for a scheduled time or when you reach a particular location, you can shared lists and assigned tasks, you can sync seamlessly with your iPhone's calendar and your Facebook events, you can easily view your events and tasks for the day, week or month. You can also schedule your meetings quickly with smart calendar coordination with your colleague's schedule with this app on your iPhone and iPad. 7. 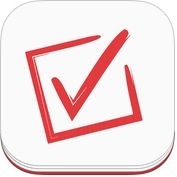 Wunderlist: To-Do List & Tasks ( iPhone + iPad + Apple Watch ) :- Wunderlist: To-Do List & Tasks app is one of the best and user-friendly reminder, to-do and task manager app for iPhone, iPad and Apple Watch. With the help of this to-do lists and task app, you can add organize and schedule, you can set due dates and reminders to ensure your never forget important work or events, you can create lists to help sort your to-dos for home , work and everything,and more. 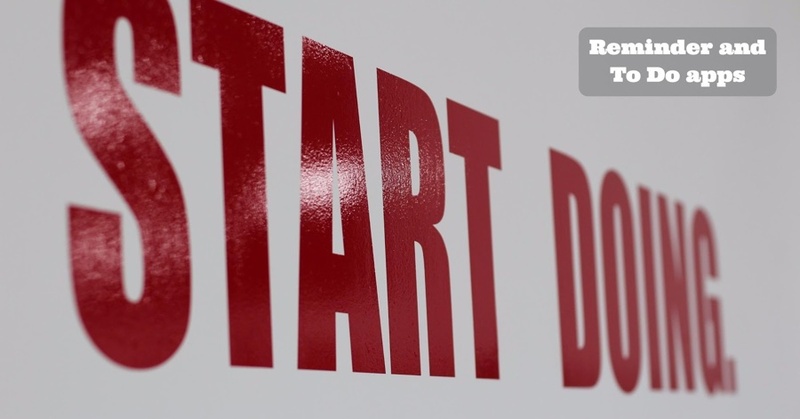 You can also use notes, files, subtasks and comments to add important details to your to-dos. If you are looking for a free and robust To Do list app for your iPhone, iPad and Apple Watch, download Wunderlist. 8. 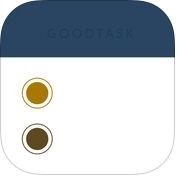 GoodTask 3 - Reminders as a Task Manager ( iPhone + iPad + Apple Watch ) :- This reminders and task manager app is one of the simplest and powerful apps for iPhone, iPad and Apple Watch. 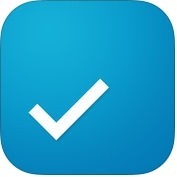 GoodTask 3-Reminders as a Task Manager app has lots of amazing and impressive features such as sync with iOS reminders & calendars, support fully customizable recurring tasks, manage reminders lists and calendars easily by daily, weekly, monthly view, you can filter by including or excluding text or tags, support portrait or landscape mode, manual or auto sort and more useful features. 9. Todoist: Todo List for Organizing Work and Errands ( iPhone + iPad + Apple Watch ) :- With the help of Todoist: Todo List for Organizing Work and Errands app, you can organize and prioritize your tasks and projects without any stress on your iPhone, iPad and Apple Watch. With this reminder, to-do and task manager app, you can organize and keep track of all your personal and professional projects, you can view quickly your tasks for the day or week to come. 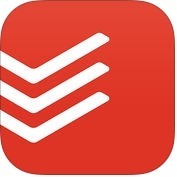 Todoist is one of the best free to do list apps available for iOS and watchOS devices.